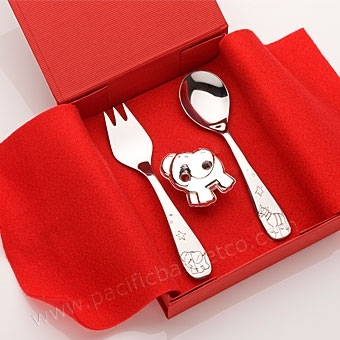 Stainless steel baby fork, spoon and pacifier clip made in Barcelona, Spain by Cunill. 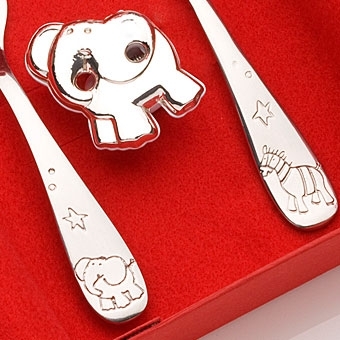 Featuring embossed zebra and elephant details. This beautifully packaged 3 piece set includes a keepsake box with a hand tied satin ribbon & optional custom imprinting.